Momentum builds when people collaborate, combine their talents, insights, and ideas to make the seemingly impossible possible. “The proof is in the pudding applies.” We are all so pleased with how Nimsy’s leg has grown. Dr. Gordon told Elizabeth (Nimsy’s mom) that he’d hire her if they ever moved to the USA. He has been so impressed with how well Elizabeth has handled the turning of Nimy’s leg frame. The current plan is for them to return to Nicaragua in September. That seems like a long way off to them right now as they are both extremely homesick. We sincerely thank each of you for caring, praying and investing! One child at a time, one step at a time. Nimsy’s family always believed that, one day, she would be able to walk like a normal girl. She was born with a birth defect called a “tibial hemimelia.” In layman’s terms, that means she was born with a short, improperly-placed tibia. Last week, Nimsy and her mom Elizabeth traveled here from Nicaragua under the assumption that they would be in the United States for four months, returning in June with a prosthetic leg. Elizabeth has told us that, from the day of Nimsy’s birth, she has been praying for a miracle that somehow God would heal her leg and extended it. But based on x-rays taken in Jalapa, Nimsy’s team of doctors thought lengthening was not an option. Amputation was a painful, disappointing prospect. After a week of firsts for Nimsy and Elizabeth—from sub-zero temperatures and sledding to airplanes and customs—we traveled to St. Louis to the orthopedic specialist at Shriner’s Hospital taking her case. After reviewing new x-rays and manipulating her leg, Nimsy’s doctor proceeded to announce that amputation was not the only option. “Yes, I can extend her leg,” he told Elizabeth and Nimsy. Both immediately cried tears of joy. Rather than amputating her leg, Nimsy’s surgeon will begin a process of slowly pulling apart the segments of bone in her leg so new bone will form in the gaps made. This slow process leads to regeneration and increased bone length. This amazing news presents some challenges. First and foremost, Nimsy’s surgeon has told us that leg lengthening is the most excruciating orthopedic process he’s ever encountered. From multiple painful surgeries to months of intensive physical therapy, Nimsy will experience pain unlike anything she’s encountered. As her bone grows, the muscles in her leg will become tighter and her joints will ache. Second, the family will be separate from each other for the rest of 2019. 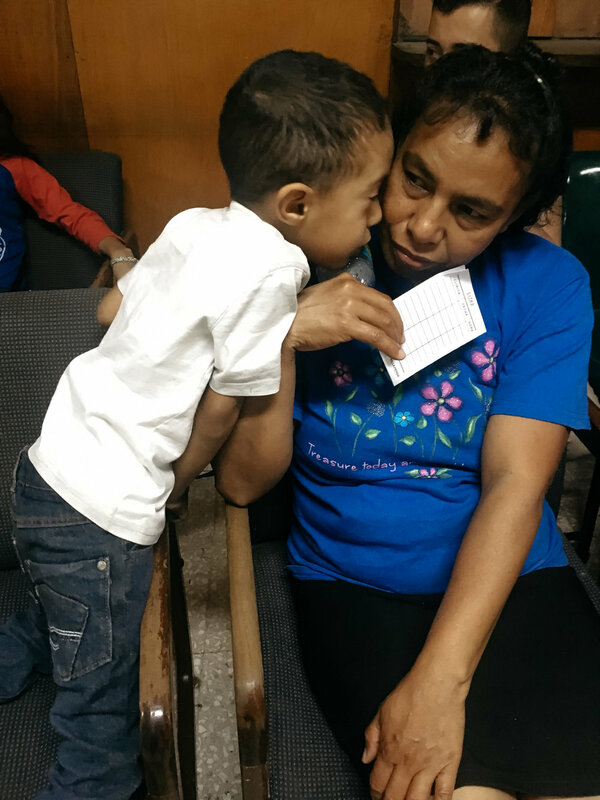 Nimsy’s father and brother will remain in Nicaragua while she and her mom will stay in St. Louis. After this year, they will return to Nicaragua for a year, come back to the US the following year, go back to Nicaragua, then come back to the US one final time, repeating the cycle three times. We ask for prayers for Nimsy as she's going to experience difficulty during this time, prayers for their family separation, and prayers for funds to help provide housing for them. Ultimately, we are so grateful that Elizabeth’s vision of Nimsy’s future will come true. 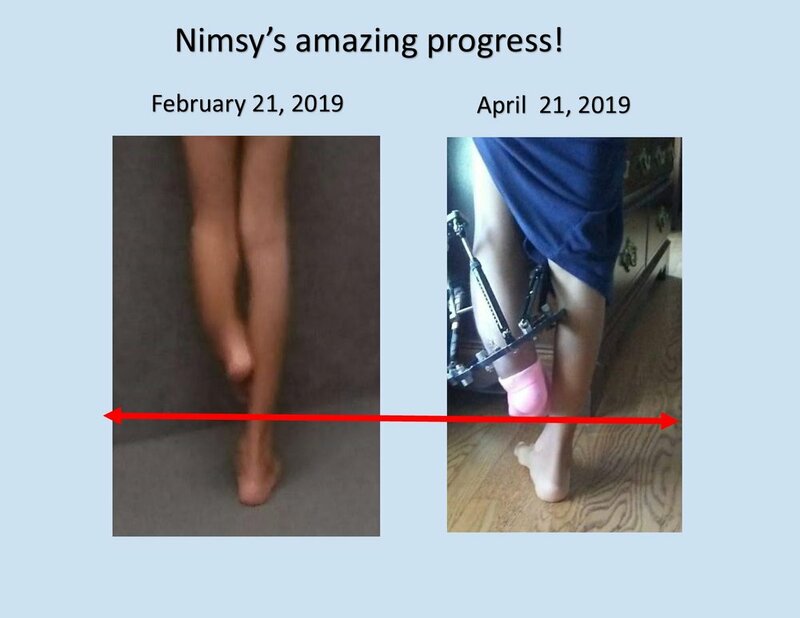 At the end of this 6 year journey, Nimsy will have two full-functional legs! The Mercy Center: Four Months-lives changed! The Mercy Center Staff: Rolando, Nintzy, Abelito, Walter, Amilkar, William, Ellen, and Fany! On April 18, 2018 the political climate of Nicaragua changed dramatically. The conflict continues and our people struggle even more to come by the bare essentials needed for life. Food and gas prices continue to climb and basic health care has moved from being scarce to nonexistent. It’s truly heart-wrenching to watch the country collapse. At present, the estimated loss is over 2.5 billion dollars. Sally (my married daughter) and I went down in July to celebrate the three-month mark of the center. Witnessing, first hand, the services our center provides encouraged our hearts. Our team is tight, focused and professional. We’ve been able to add a physical therapist and her skill set filled our gap. The team now covers education needs, basic speech needs, health care needs, and each child receives physical therapy. The Mercy Center operates three days a week and does home visits on Monday and Friday. We continue to look for physical/occupational and or speech therapists willing to go down for a short-term trip. 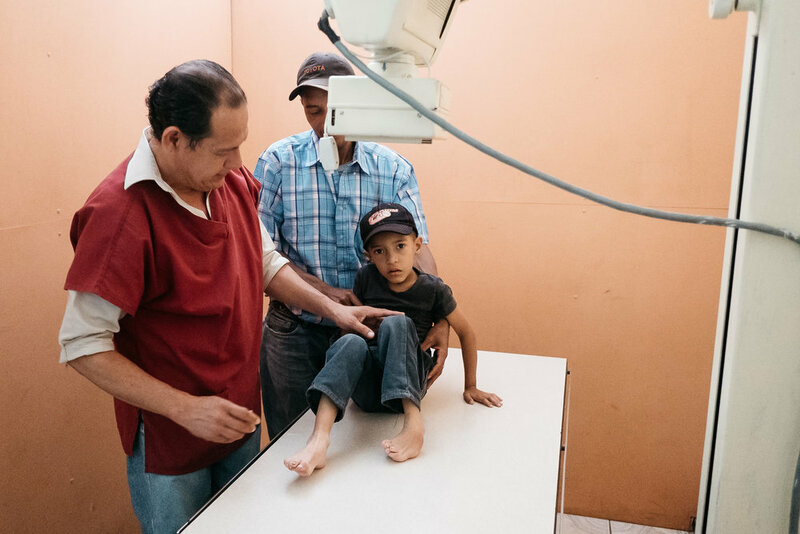 We also desperately need connections to orthopedic surgeons willing to donate their services (stateside or in Nicaragua). Alex is at the top of the “success” lists. His club foot underwent six months of procedures and is now in the final recovery stage. This salty little guy would be a great presidential candidate. He is truly an amazing child. Our journey to help families affected by disability is not without pain as we helped the family of this sweet child bury their daughter. She passed away due to pneumonia. I cannot express in words my gratitude to this amazing woman. She loves these kids so much and her love for them has encouraged every single mom involved. It is just beautiful to see Ellen in action. The team meets and greets each mom/child as they arrive. A member of the team immediately takes their child and warmly smothers that kid with kisses and then more kisses. This is clearly the fingerprint of Ellen. Her beautiful smile makes everyone excited to be part of the program. In February, Sally and I went to visit Milagro in the hospital. She had pneumonia on top of her Zika diagnosis. The experience was nothing short of horrible. We were skeptical she would make it through the night. Her body was writhing in pain and her mother was needing to hold her all night in an upright position for her to be able to breathe. The hospital lacks any actual real medical equipment beyond the rust covered IV pole. It was a daunting and scary scene. My momma’s heart broke for Milagro and her devoted mom. 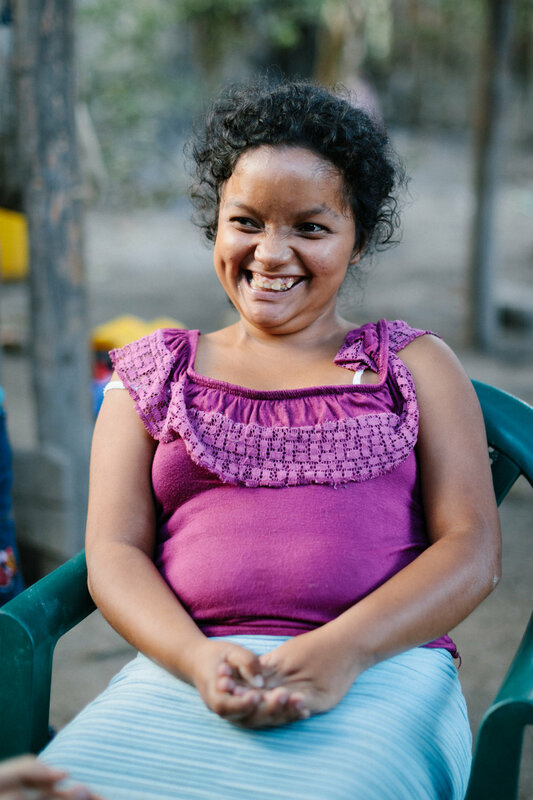 Milagro might not live long but her mom and our team are committed to helping her live life to the fullest. Her spirit is sweet and the team loves this child. The Zika virus is a terrible thing! Please consider partnering with us financially. We are hoping to buy a van. On April 17, 2018 our front doors opened. We had a wildly successful pilot month. Jana, a visiting occupational therapist from South Africa was a godsend!! She brought to the table some skillsets that will be treasured going forward. After one month this boy, Elias, age 15, shines as the face of the mercy center. His mom has had to feed him his entire life. He now has the range of motion and the coordination to be able to bring food from his plate, to his mouth all by himself. What an encouragement his progress is!! Abelito, a Nicaraguan, is excited to have a job where he can use his skills but also express the love he has in his heart for the most vulnerable kids in his country. He knows the deep need and is grateful for the opportunity to serve in the center. Ellen helps Katerine’s mom learn ways to keep her daughter safe. She is one of the most challenging Mercy Kids as she is CONSTANTLY moving but doesn’t have the mental capacity to stay safe. Ellen is always willing to serve wholeheartedly. Naomi’s mom was hesitant to commit to the work of being a willing participant of the Mercy Center . . . at first. She did not understand the whole concept of a physical therapy center. Now, after one month, she is one of the strongest advocates as she already sees progress with Naomi’s range of motion, cognitive abilities and is so excited to be part of the center. This is Nyeli. When she arrived to the Mercy Center she did not make eye contact with anyone. She was insecure, shy and withdrawn. Now Nyeli smiles and laughs and enjoys all the therapies offered. What a blessing to see her develop. We want as many of the kids to move toward independence as possible. Our team is making a difference!! On a more difficult level . . . I am sure many of you are aware of the political turmoil in Nicaragua. This has been building for many years. The problems are deep seated and we covet your prayers. The people, the ordinary people, like you and me are really suffering. Food and gas prices have skyrocketed and the availability of both are always in question. As one would guess the list of issues is long. We hope and pray for change, most definitely, but . . . at what cost? Please join us in prayer for peace, for safety and ultimately that God’s perfect ways would reign and control the little country of Nicaragua. He is five years old, has more personality than the average 15-year-old, and was born with a club foot. When he as an infant, he received corrective casting and surgery for his foot. Due to poor medical care, his foot rapidly regressed and walking became increasingly difficult. We're praising God because this wonderful little person is receiving treatment! On our most recent trip to Nicaragua, we randomly decided (or so we thought) to get Alex x-rays of his foot. We took Alex, along with another sweet little girl in our program, to the local radiologist where we paid $20 for an x-ray of his foot and celebrated with ice cream. We'd known for years that he needed treatment but hadn't known where to begin. Less than three hours later, we received word from a friend that an appointment had opened up with the leading club-foot doctor in all of Nicaragua. It was Monday night and the appointment slot was Wednesday morning at 8 AM, more than 6 hours away by car. 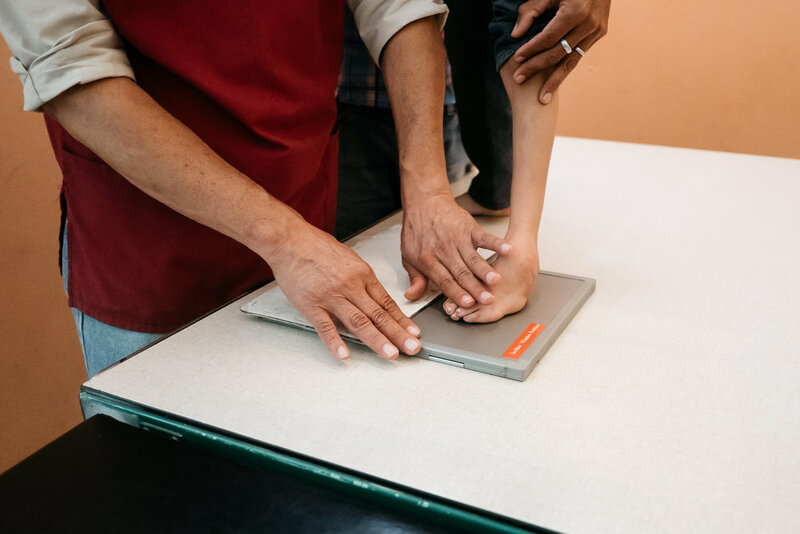 Alex and his mother would have to leave their home for at least 6 weeks to receive treatment, live with someone they'd never met, and handle the pain of club foot casting. It was only the second time they'd have traveled more than 4 hours from their village. We were afraid that this would just be too much for the family to process in less than 12 hours. But when we told them the news, Alex informed us he wanted to make and pack spaghetti to bring with him for the trip and his mom cried as she had been praying for years for that day to come. They truly couldn't have been more excited! The following morning, we left for Léon, a six hour truck ride south, for Alex's treatment. The little man bravely handled the casting of his foot and we're so happy his treatment is going well! Our long term goal through The Mercy Kids isn't just basic care. Rather, we hope to provide treatment that will change lives and open futures to our 265 kids that otherwise wouldn't be possible. We can't wait to share how Alex's life changes after his casting and surgery! Scroll down to see images from our trip to Léon. We're delighted to announce that His Hands Support Ministries has established a sponsorship program for our Mercy Kids! Through this program, sponsors provide monthly donations of $25 a month per child and 100% of that money goes directly to caring for the Mercy Kids. For several years, our dream has been to connect individual kids in Nicaragua with families that can not only provide financial support but also provide prayer for each child by name. His Hands has made that possible! This January, God brought a team of His Hands volunteers to Nicaragua. While they were there, they began photographing and interviewing each of our 265 children. Because of their faithful work, more than 20 of our children have been sponsored! To sponsor a child, follow this link below. UPDATE! 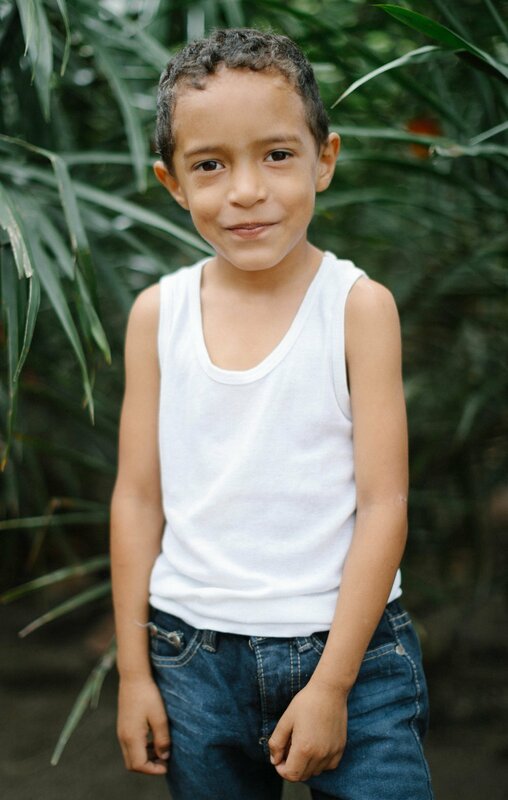 We're so grateful that Deyvin is now sponsored! Please consider sponsoring one of the other sweet kids in the Mercy program. Right now, one of our most urgent sponsorship needs is Deyvin Rosales Hernandez. Deyvin is 18 years old and has cerebral palsy. The difficulties of his disability, however, are compounded by his extreme poverty. Deyvin receives almost no care, lives in a plastic shack, and does not receive the medical treatment he needs. To sponsor Deyvin, follow this link. $25 a month provides Deyvin food and other household supplies. This is The Mercy Center. Excited for the front doors to open. It's almost finished. Thanks to so many generous donors The Mercy Center is on target to open April 1st (ish). Yay yay and yay again. This last January, Ron and I took over a dozen faithful, devoted volunteers down to Jalapa, Nicaragua. We were able to witness the construction of the finishing touches to the one and only physical therapy center in the Jalapa area. This is a beautiful space where the moms of the mercy kids will be encouraged. 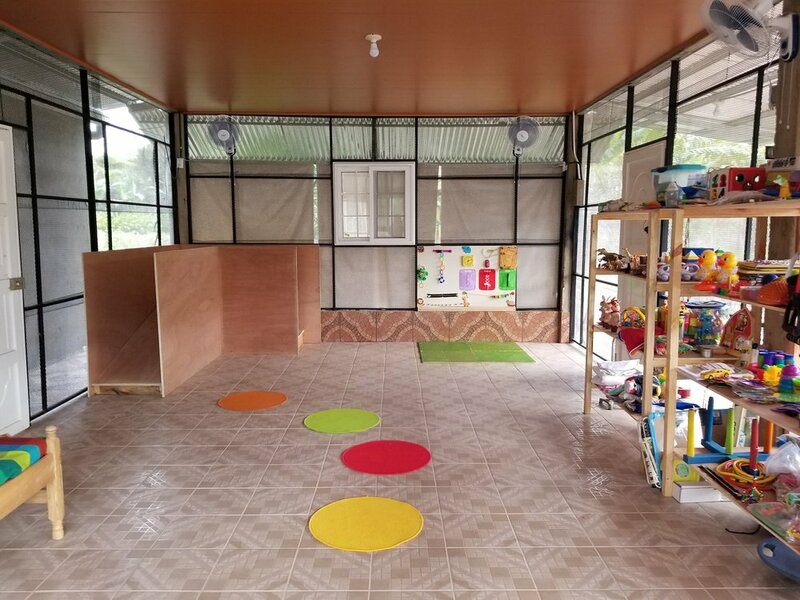 It is a space where the children will receive physical, occupational and speech therapy. It is a space where people will be able to volunteer, to be the hands and feet of Jesus. The center will be a space where children and moms, both, will receive spiritual insights into the love of their heavenly father. It is just so exciting to be eyewitnesses to something so beautiful. Pastor Carlos and Pastor Abel are energized and ready to include their local communities. There are folks in the area that are learning about the number of kids with disabilities. Education and awareness are two key factors to changing the story of disability for these kids. These children were born into something they had no input into. Their stories are difficult stories. They are without a government who provides programs, aid, and all kinds of paid for resources They are without special-ed classroom opportunities. They are without curriculums, after-school programs, respite opportunities and the list of “withouts” could go on and on. That said, it is exciting to be part of a “with” program. We are providing them with beautiful new things and you can see and sense their anticipation. Once again our trip to Nicaragua has been beyond our wildest expectations. We have made new stateside friends that have fully embraced the mercy kids. They, independently, are going to look for sponsors so the mercy kids would be able to receive a food bag each month. God answered a huge prayer in this! On our team, we also brought three go-getters out of Virginia. They, independently, are looking for medical help for the kids that could majorly benefit from medical intervention. A whole bunch of young, energetic, brilliant young adults came that continually bring new and fresh ideas to the table. The Mercy Kids Foundation would not be where we are without them! On this trip pieces to a big puzzle have come together and have helped us to see the larger picture. Because our time has been focused and productive, a clearer picture of what we need, what we don't need and how to go about accomplishing things that will help the kids has unfolded. We've visited, we've touched, we've prayed, and we have shed oh so many tears on behalf of these little people we've come to love so much. Running on "e" so more beautiful stories to come!